The last night of a vacation is usually the hardest, but this time is an exception. Liza left yesterday morning and I have been going it alone for two days… with my cigars. Because I’m a pretty personable guy, I’ve made some friends here… including seventy-seven year old Pete from Edmonton, who has latched onto me before the Liverpool match yesterday. I laugh because it is almost, but not quite, like being here with my very good friend Eduardo, who is the same age, with whom I have been here several times. Tonight is my last night at Be Live Experience Turquesa, and for the first time ever I am ready to leave. Tomorrow afternoon I will head back to Havana, and Saturday morning I fly home. As sad as I am to go home, it is time… and it’s not the same without Liza. Someone asked me this morning how many cigars I smoke in a day in Cuba. I told him frankly ‘as many as I want.’ I do not keep count, but Monday for some reason I only smoked one, and right now I am on my fifth of the day. It really is however many I feel like smoking. A woman from Switzerland came up to me last night and started gesticulating that she wanted me to give her a cigar. As far as I could tell, she speaks Italian and German, with a smattering of Spanish; I speak English, Hebrew, and French fluently, with a smattering of Spanish. She was yelling at me the entire time, which means she is likely either Italian, or a descendant of a non-commissioned SS officer. When one of her friends started to translate for us, I asked him to explain to her that in my country, it is customary when asking something of a stranger that you ask politely and not yell at them. He laughed, telling me that she is like that. ‘She yells at people she likes!’ She must have wanted to take me to bed if that was the case. She did not get a cigar. Pete, on the other hand, did… although he never asked. He has been smoking Relobas (peso cigars) as long as he has been coming here, and when I offered him one he didn’t expect they would be very different. He was three puffs in when he realized how different they were. He thanked me for introducing him to them, and he may just take up the hobby! I told him to go visit Alphonso this week and pick up some Robustos. You see, in Cuba, giving a cigar to someone is a sign of friendship. Come to think of it, it is like that everywhere I’ve been. He and I have been having a good time, and I enjoy sharing my passion for cigars with people I hang out with. He has been to this resort twenty-five times. Wow. I have held court with several different groups of people from different countries (not including the Swiss woman) who have asked me myriad questions about cigars, on topics including what to buy, how to light one, how to store them, and how many they are allowed to bring back home. One gentleman from France asked me if his unbranded cigars would be a problem entering France, and I answered honestly… I don’t know, but I doubt it. It is great how many people start talking to me because of my cigars, and I really enjoy it… most of the time, when I am not trying to do something else. I suppose that is why I started this site, right? It is astounding to me how many people here are unprepared. The number of people who have asked me for a light amazes me. I’m not talking about people who bought (or were gifted) a cigar, or even the people on the windy beach who appreciated my wind-proof torch. Pete says I could make a fortune if I would only charge people to light their cigarettes. As we watched the football match, no fewer than eight people asked to borrow the torch to light their cigarettes, a number of them twice or three times. On one Canadian’s third request, I mentioned that he might want to invest in a lighter. ‘Oh, I brought three of them. They are in my room.’ I have been trying to think of a more useless place for a cigarette smoker to have their lighter. You brought your Canadian cigarettes, bring your Canadian lighter! Oh well… I brought plenty of butane and I’m a friendly guy, so I was glad to help. In the movie Hunt for Red October, there is a scene when Jack Ryan (played by Alec Baldwin) and his team first board the Russian sub, and nobody speaks as the two sides size each other up. Even though he obviously doesn’t smoke, he asks for a cigarette, and that starts to break the tension. There is really something to that. Smoking is a great way to start a conversation with someone. I do not condone or suggest cigarettes, but cigars do the same, in a different way (and for a different budget). Unlike what I thought before my first visit to Cuba, not everyone here (locals or tourists) smoke… but a lot of people do, and I have made some great friend on my trips here because we share that passion for cigars. Should you start smoking to make friends? Probably not. 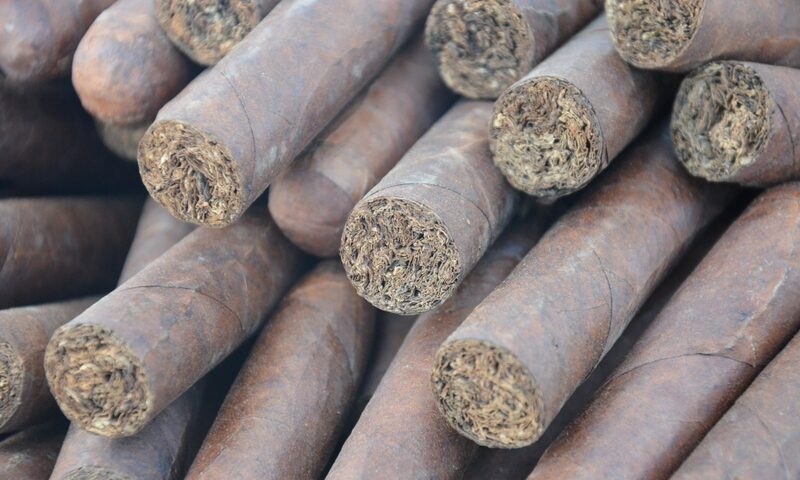 Will you make a lot of new friends if you do smoke cigars? If you polled twenty of my friends, fifteen of them would agree that you will. I will miss Turquesa, I will miss Cuba; I always do. Am I ready to go home? Yeah… but I am bringing some cigars and memories with me! Previous PostPrevious Welcome to Turquesa!